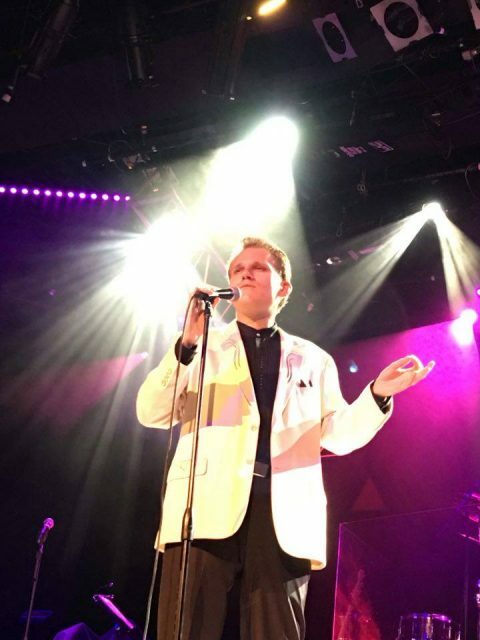 Nationally touring classic crooner Matt Barber has been touring the U.S. since 2005, performing over 1000 concerts, uplifting hearts and selling thousands of CDs, performing his unique throwback to the crooner era of yesterday. Barber, a cross between Barry Manilow and Michael Buble, performs Easy Listening/Jazz classics from the 40s, 50s, and 60s by various crooners. Matt Barber, an Illinois native, has entertained at wineries, festivals, ballrooms, and retirement communities and recently released his fifth album, "Love Notes From Paradise." He performs solo, delivering a heart-warming, yet powerful sound with professional arrangements by Alan McPike of Scotland. With a passionate, uplifting style reminiscent of Barry Manilow and Michael Buble, Matt Barber delivers songs we know and love with a sincere, meaningful approach. His passion for his music comes through in every song. Matt has performed over 300 concerts per year around the world for more than a decade. Matt’s recordings have recently been featured on Los Angeles radio station KJAZZ 88.1 FM. He has had had the honor of performing at notable venues, including The Four Seasons Hotel in Beverly Hills, Andy Williams’ Moon River Restaurant in Branson, as well as the Illinois State Fair, to name a few. Matt has performed around the world, at festivals, wineries, resorts, colleges, country clubs and retirement communities. Since his debut in 2005, Matt has released five albums, “Romancing Nashville (2007),” “Love Notes From Paradise (2009),” “It’s Been A Merry Christmas (2009),” “The Masterpiece Collection (2011),” and “More Today Than Yesterday (2015),” with arrangements by Alan McPike and recorded in Nashville, TN by Daniel Dennis. Matt tours and records with some of LA’s best musicians, as well as performing with good friend, Brother Day Kelly, former trumpet player for Ray Charles. Matt recorded “It’s Been A Merry Christmas (2009),” by Brother Day and is currently promoting the single “Moments In Time (2019)” collaboration. Matt’s show, “The Matt Barber Experience” consists of “fun, upbeat, and relaxing music from the heart,” providing an extensive repertoire of music, making for a fun, relaxing, and interesting experience for a romantic evening with that special person, or a fun night which you can bring your whole family to enjoy. Future plans include touring abroad and bringing his shows to younger audiences around the world. Matt is currently accepting offers from major record labels. “If I can help people forget their problems, feel uplifted, and bring them some happiness, then I’ve done my job,” says Matt. Matt’s music is available for purchase here, as well as CDbaby.com, iTunes, and Amazon. Copyright © 2019 Matt Barber Vocalist. All rights reserved.